Eric Hernandez Desentis is the general manager of KE Fibertec in Mexico. KE Fibertec AS develops air distribution systems based on fibre technology. Their purpose is to ensure good indoor climate. Through advanced use of fibre technology and competent advising they wish to give customers the benefits of textile based air distribution (heating, ventilation and cooling) in all types of buildings. 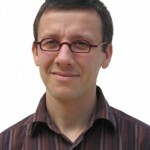 The wind consultant, Eric Hernandez Desentis made a study “Wind Thermal Comfort and Natural Ventilation Evaluation” for Sordo Madaleno Arquitectos. 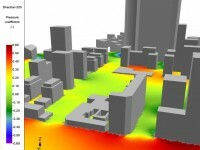 To achieve it, he used UrbaWind – wind modelling software – to assess natural ventilation and thermal comfort. Eric Hernandez Desentis says: “It has been a pleasure to participate with Sordo Madaleno Arquitectos team on their proposal for St Regis complex Los Cabos”. Sordo Madaleno Arquitectos has revealed the proposal it submitted as part of a recent competition for an hotel and residential project in Mexico. The project is situated at the southern tip of the gulf of California, the ‘St Regis Los Cabos’ resort is a site bordering the Pacific Ocean. It’s at the foot of a mountain, in a very windy region. 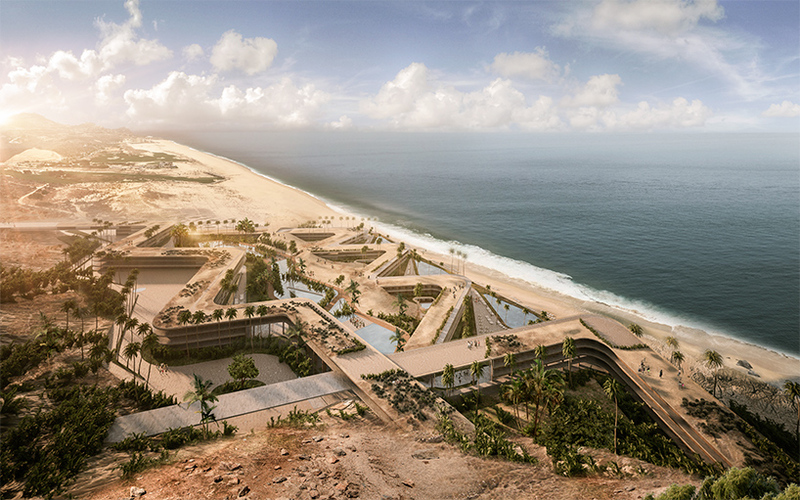 The St Regis Proposal Project Los Cabos has two zigzagging forms running in parallel at the edge of the beach. The architecture seeks to respect its natural surroundings with a strategic response to the site’s weather conditions. The resort design must protect inhabitants from the region’s strong winds. The low height of the hotel means that visitors can reach all parts of the complex by ascending or descending a single level, as well as by using the landscaped roof spaces. 75 residences are laid out across two levels — the lower dwellings have access to gardens, while above, residents can enjoy expansive terraces. 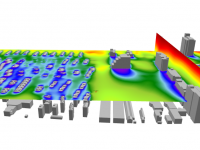 Based on CFD wind simulations, Eric Hernandez Desentis assessed local wind conditions, natural air ventilation and thermal comfort of building and outdoor parts such as terraces and gardens. 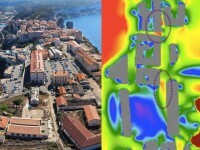 He used Urbawind, CFD (Computational Fluid Dynamics) software, dedicated to urban and built areas. 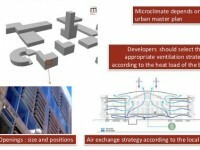 Inside buildings, natural air ventilation module estimates natural ventilation potential to design bioclimatic and comfortable indoor climate. Outside, pedestrian comfort module determines areas of possible wind discomfort to make safe and comfortable urban environments around buildings. 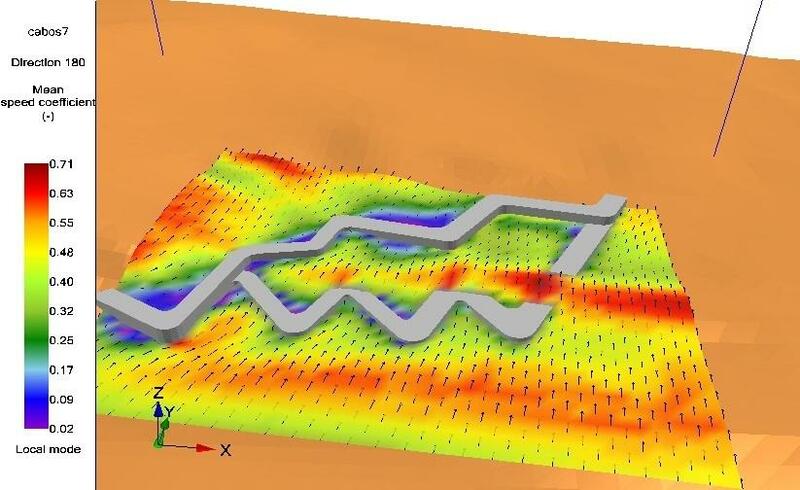 For more details on wind thermal simulation, you can read this paper: Simplified Approach to Weather Analysis for Detailed Thermal Simulation in Tropical and Subtropical Areas – using UrbaWind software (NY-14-C025) Eric F. Hernandez, P.E., Associate Member, KE Fibertec Mexico, Mexico. ASHRAE 2014 Winter Conference New York City.